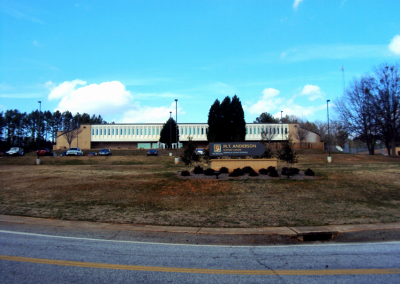 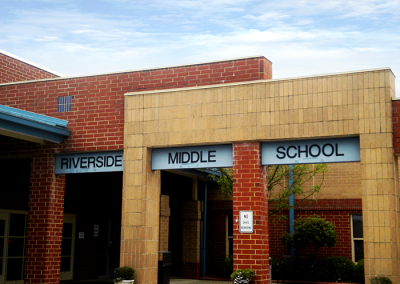 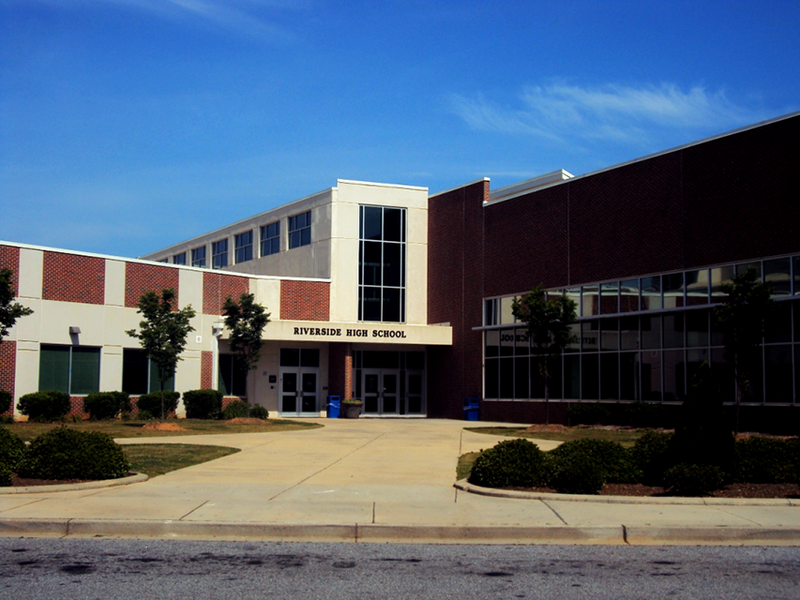 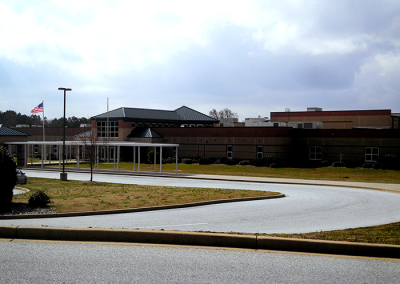 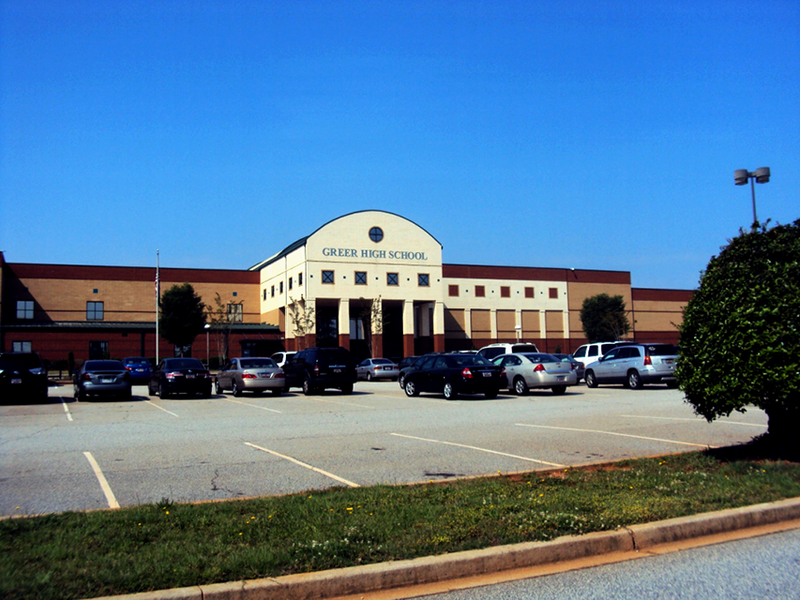 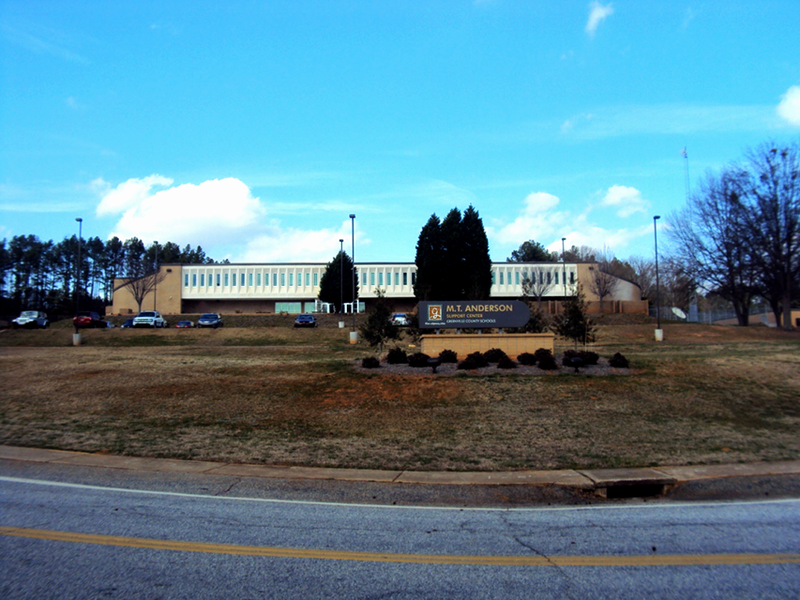 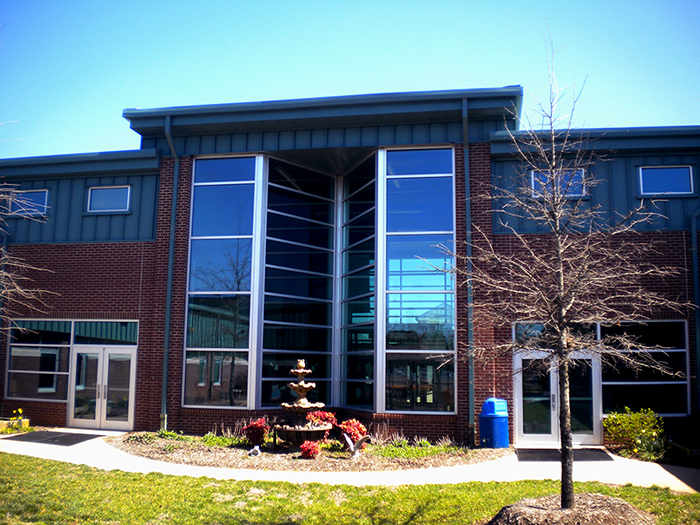 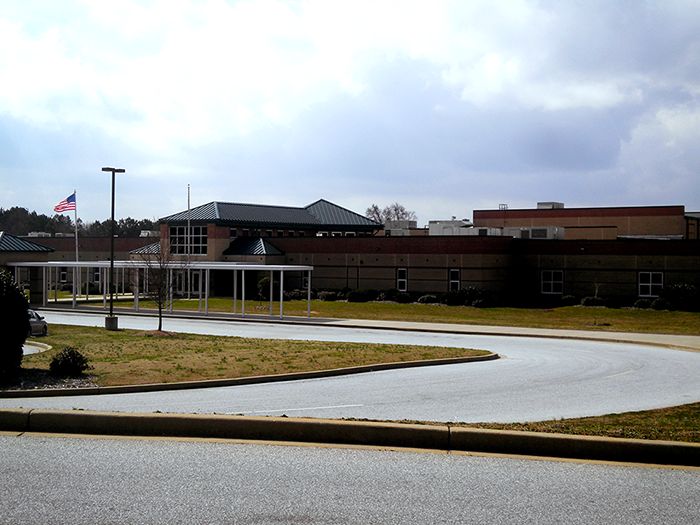 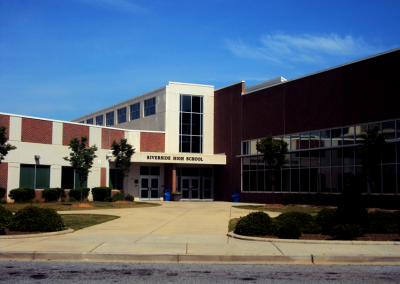 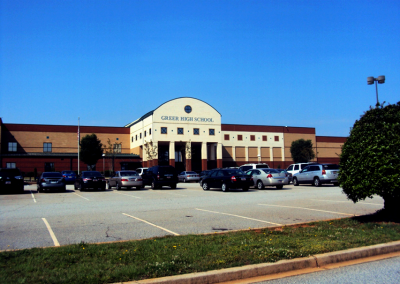 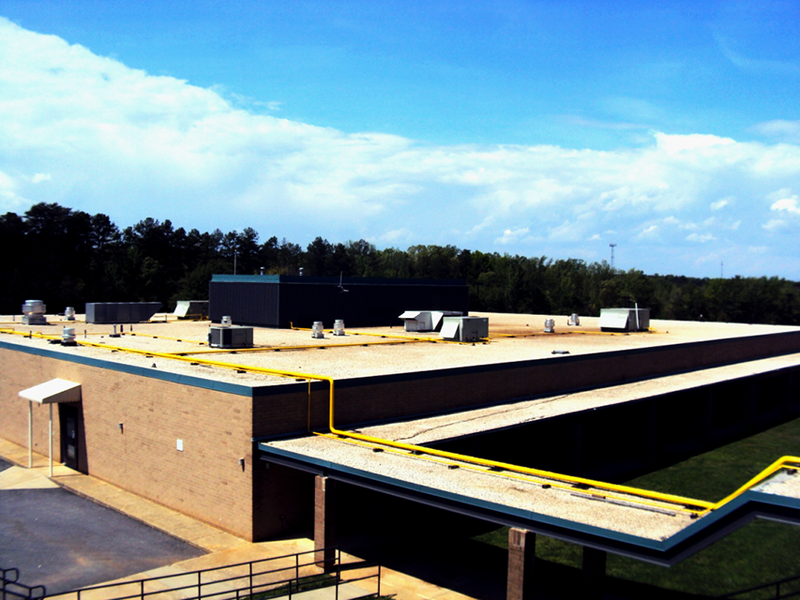 Raymond Engineering has an IDIQ contract with the Greenville County Schools. 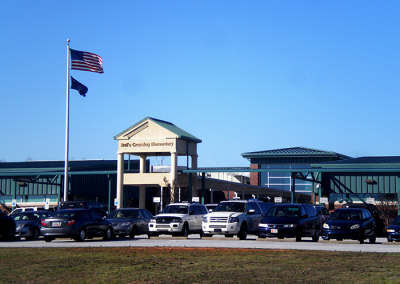 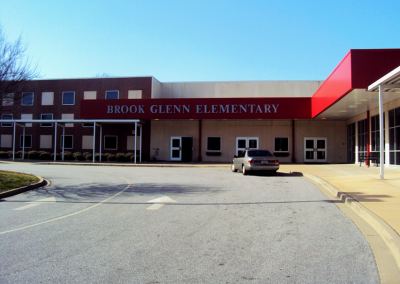 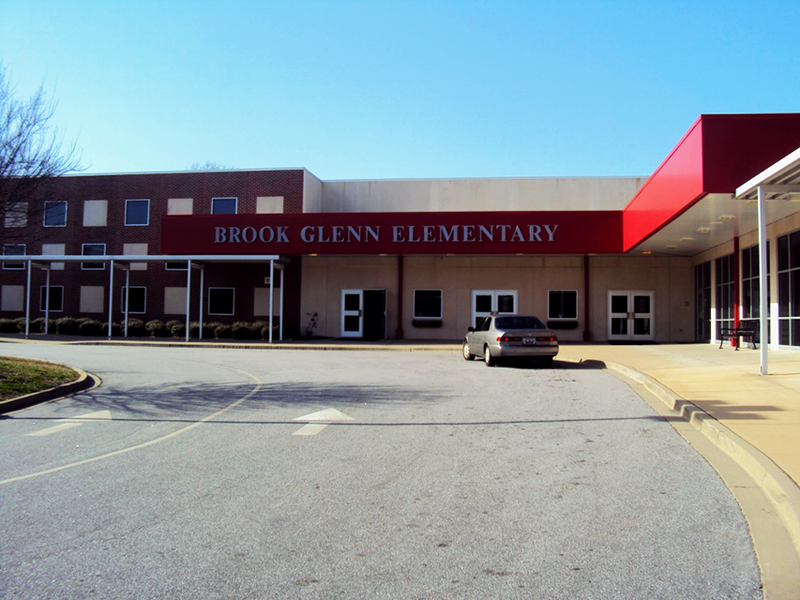 This school system is the largest system in South Carolina, and one of the top 100 school systems in the nation. 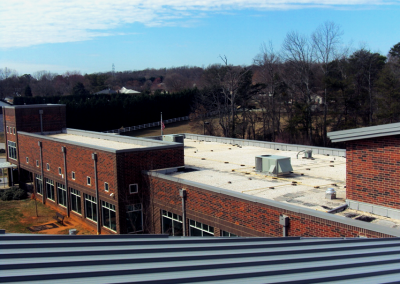 During this contract, Raymond Engineering has performed many different task orders including evaluation surveys, testing, design, construction management and quality assurance inspections. 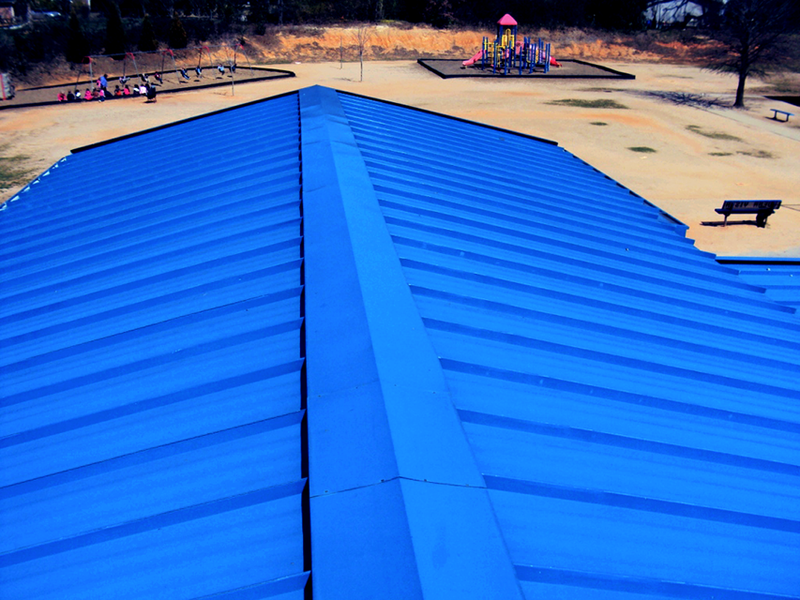 To date, we have completed or have in progress 33 projects. 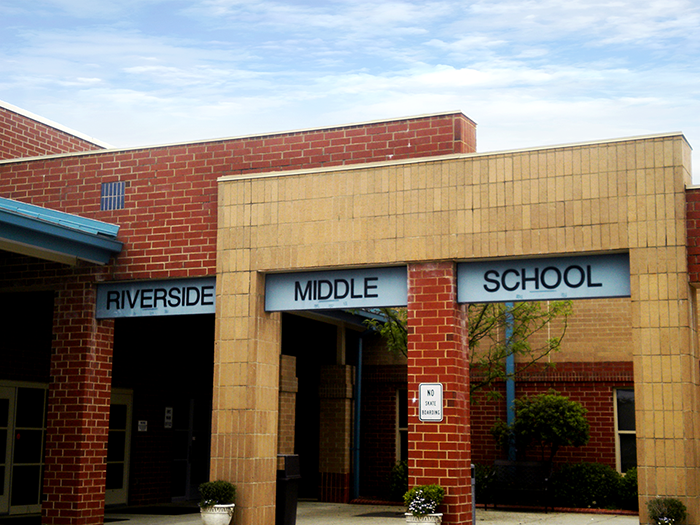 Multi School Evaluation: This task order included the evaluation of multiple schools (108 schools, 3,633,000 sq. 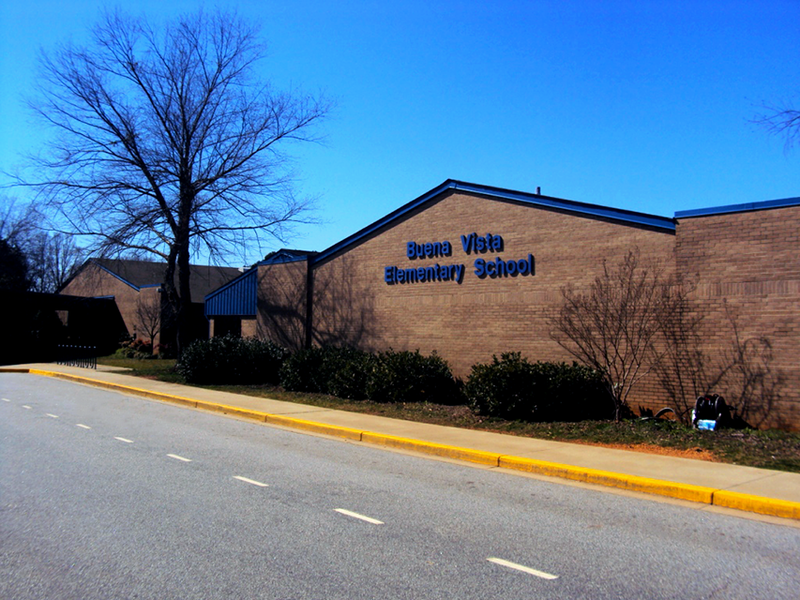 ft.) with a deadline of two months. 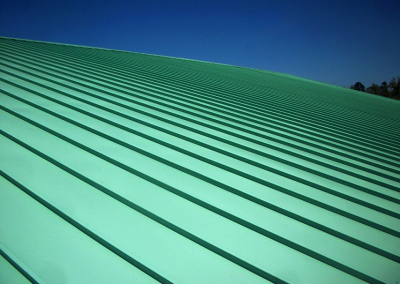 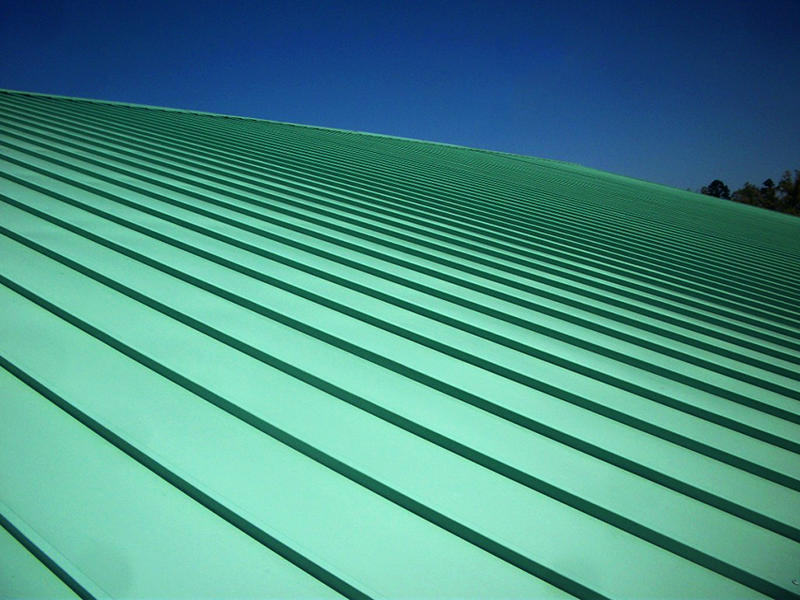 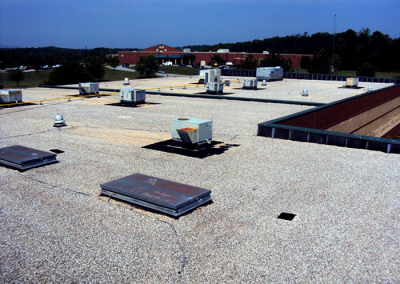 Our evaluation included visual inspections, infrared moisture surveys and a detailed report with recommendations for maintenance and/or roof replacement. 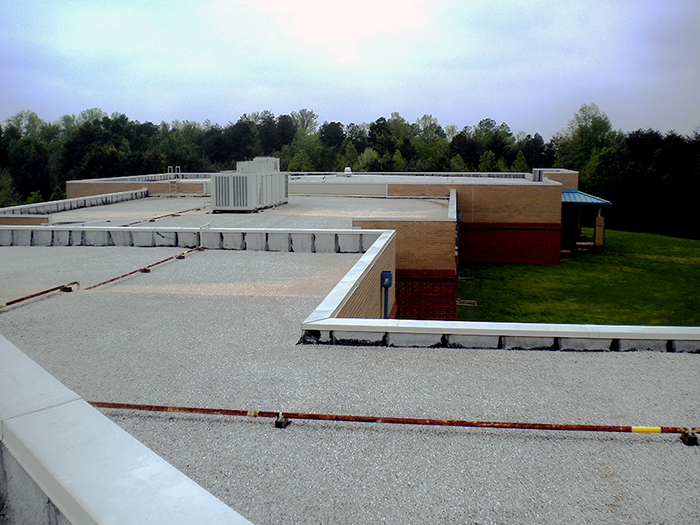 By combining resources and personnel from the Georgia and South Carolina office, Raymond Engineering was able to complete this project on schedule and $9,255 under budget. 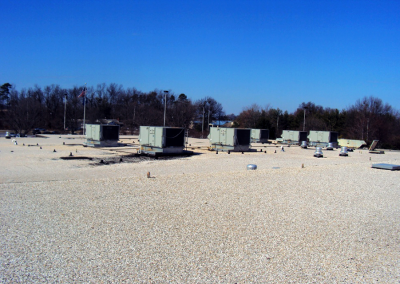 Additionally, the other consultants were unable to complete their evaluations; therefore, Raymond Engineering was given another group of 30 surveys to complete. 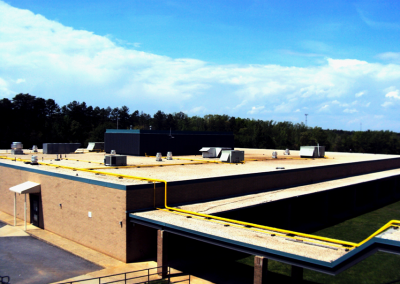 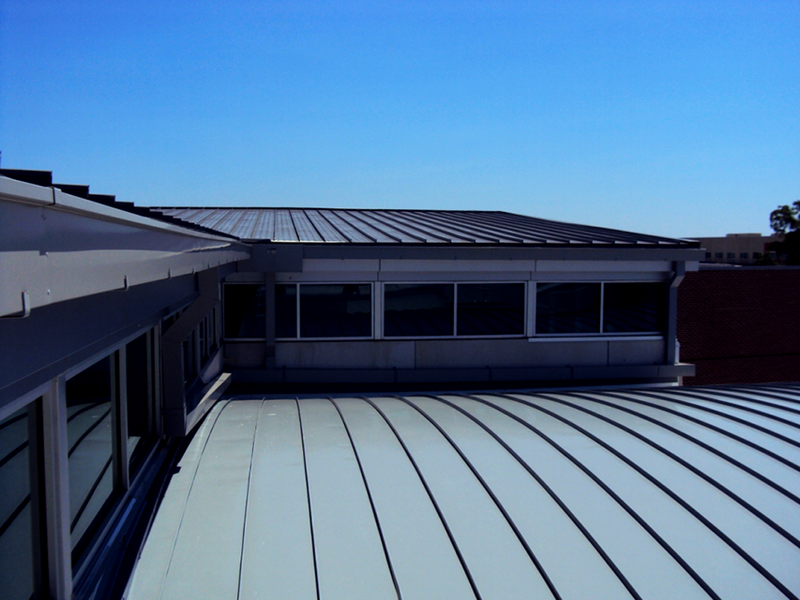 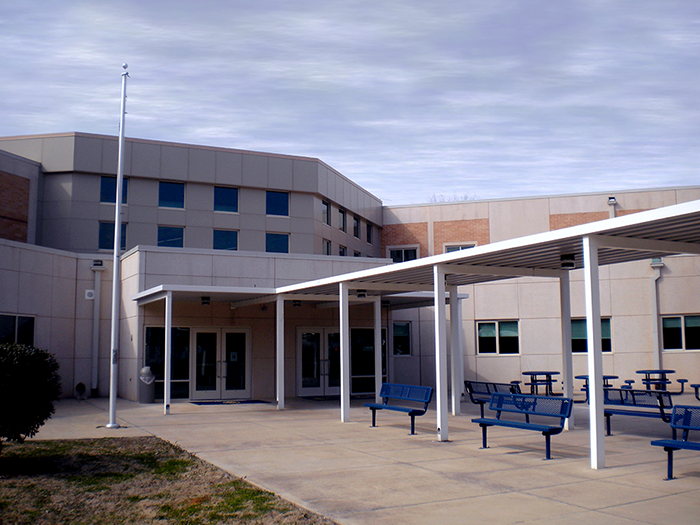 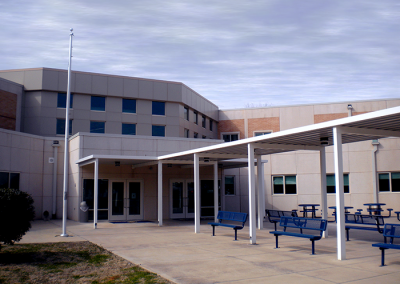 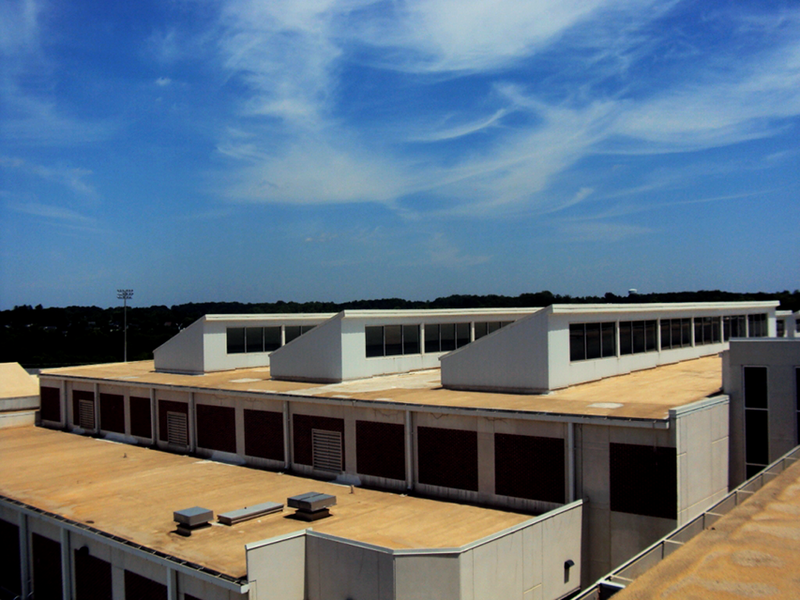 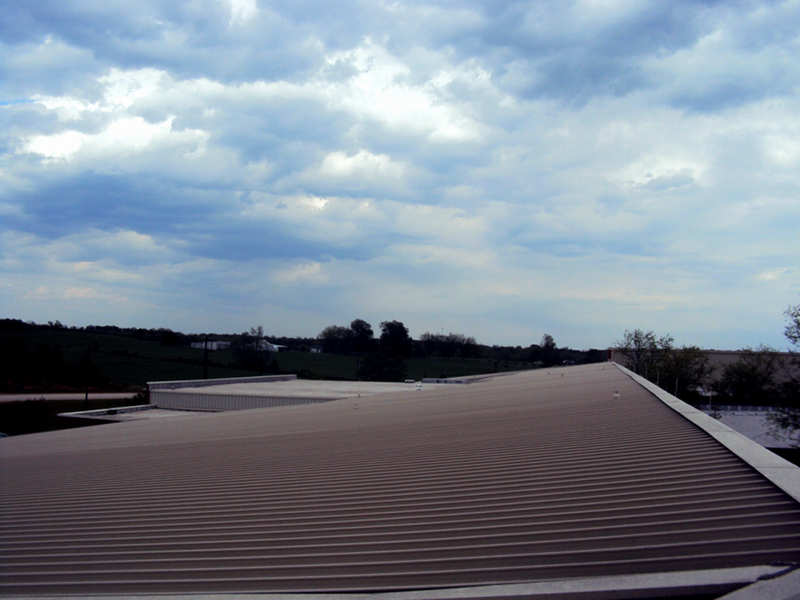 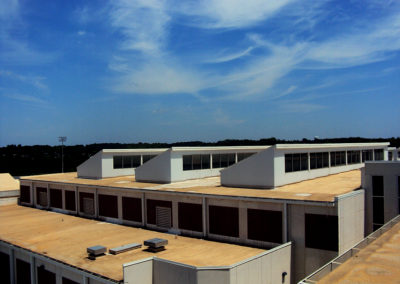 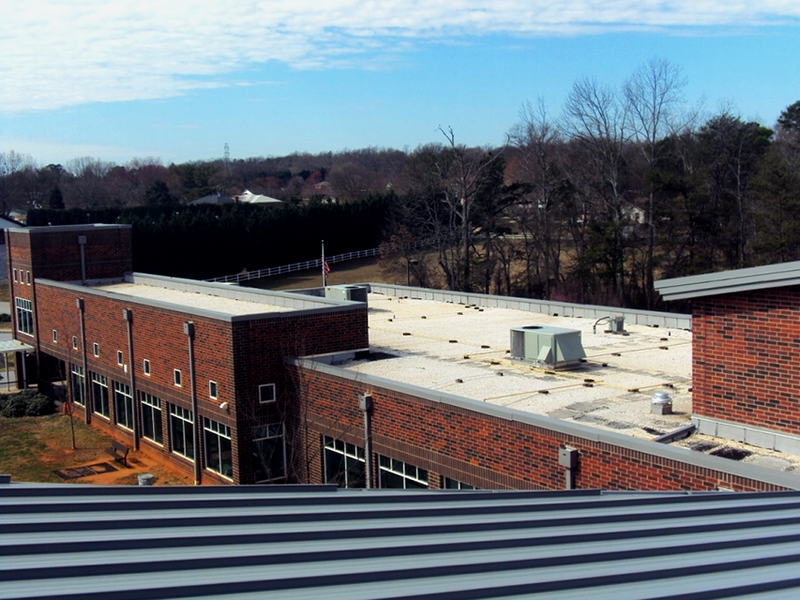 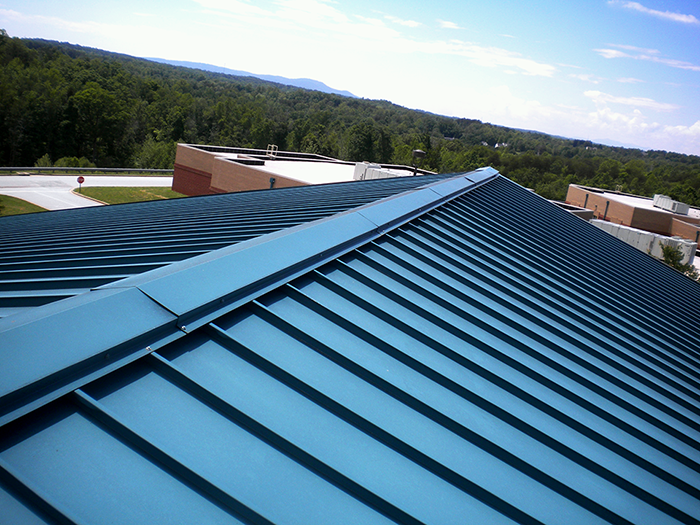 Another task order involved the partial re-roofing of the Eastside High School. 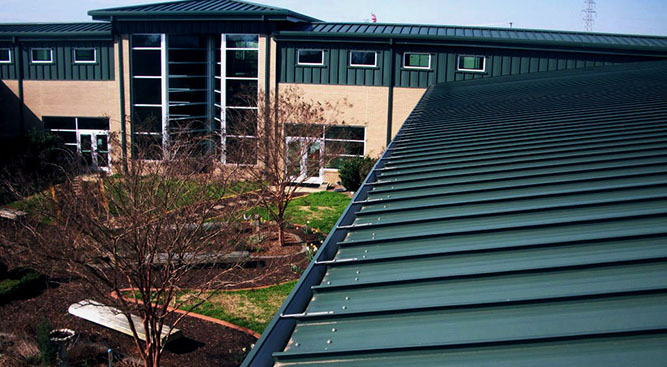 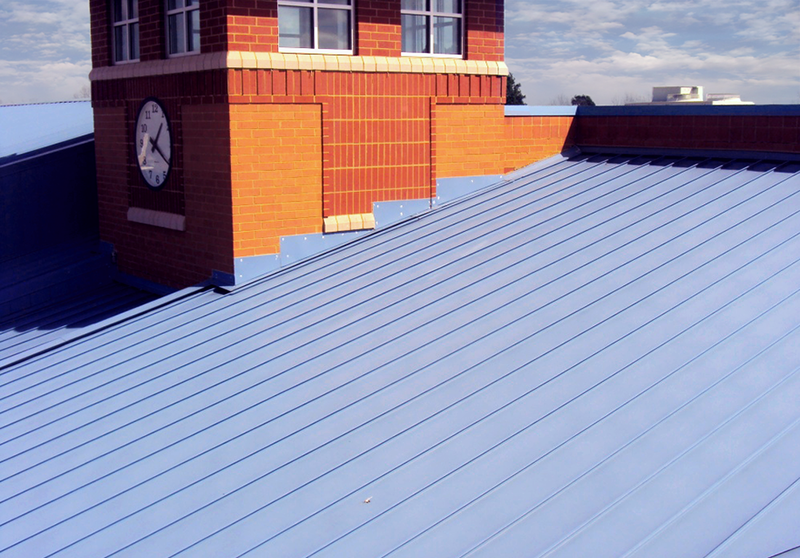 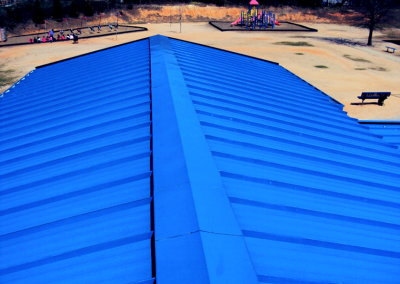 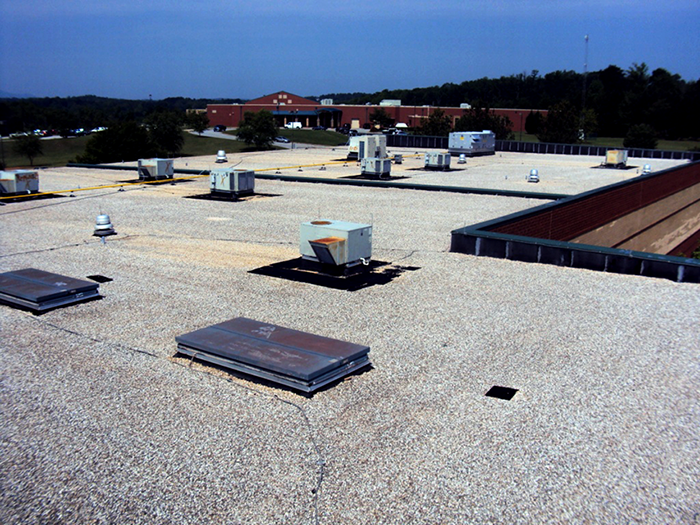 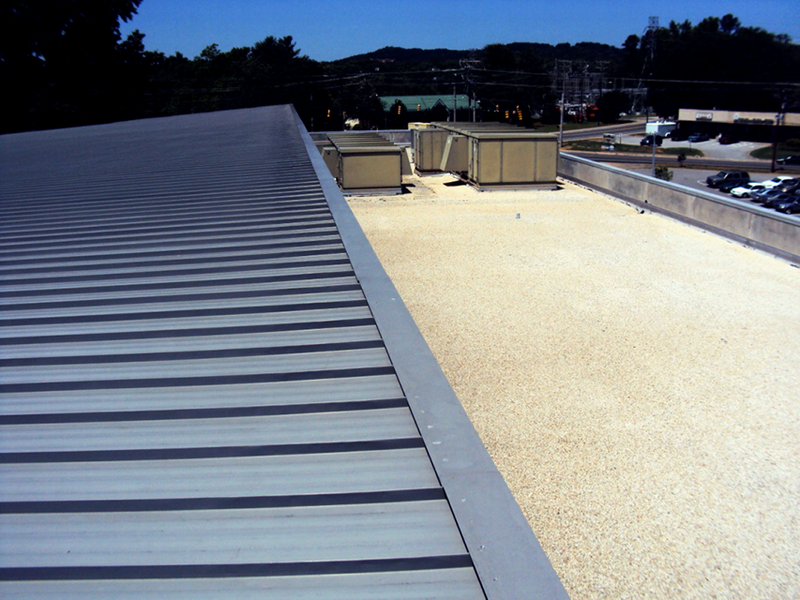 The high school was experiencing leaks and we were retained to perform a roof evaluation survey, which revealed several of the roof areas in various areas of the school were approximately halfway through their economic life, and two other roof areas were near the end of their economic life. 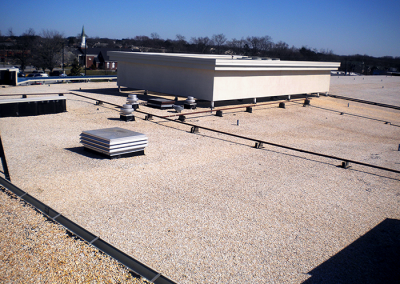 Our visual inspection and infrared moisture survey revealed two roof areas, which were approximately 10 years old, had limited water infiltration. 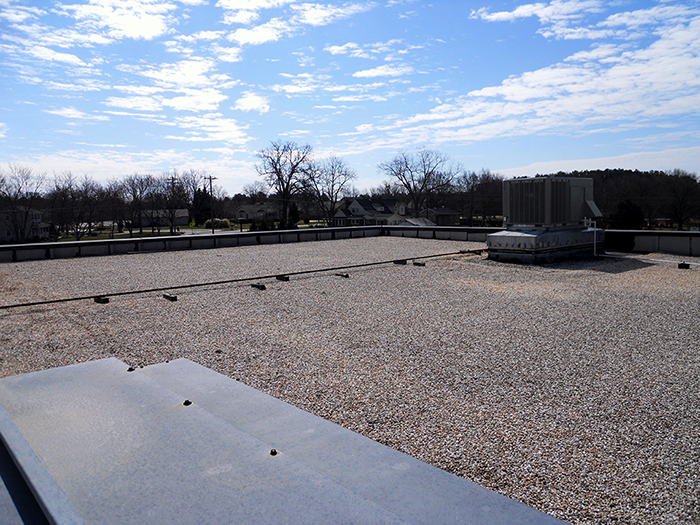 Two other roof areas required replacement. 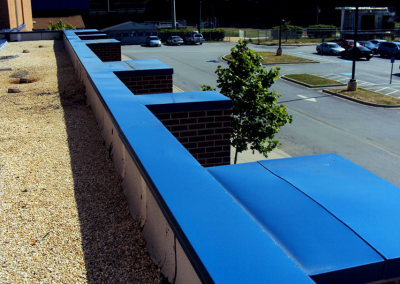 The most significant leaks were due to improperly installed and/or missing through-wall flashings at walls above roof level. 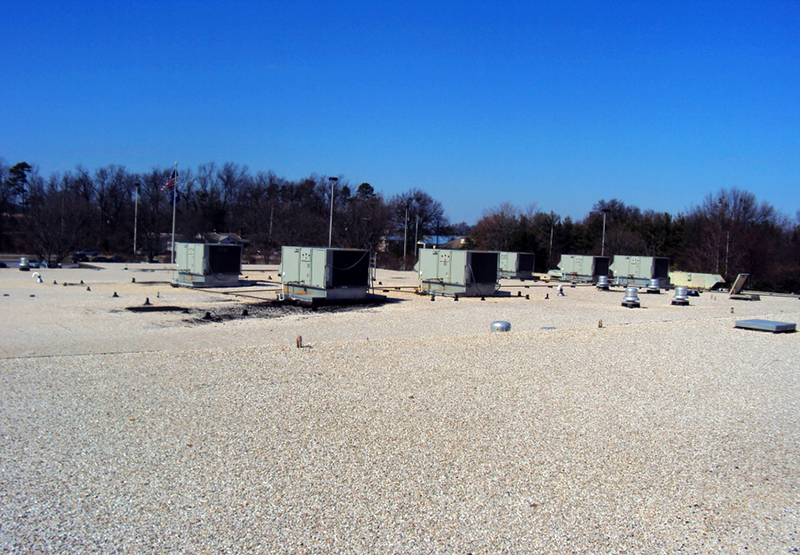 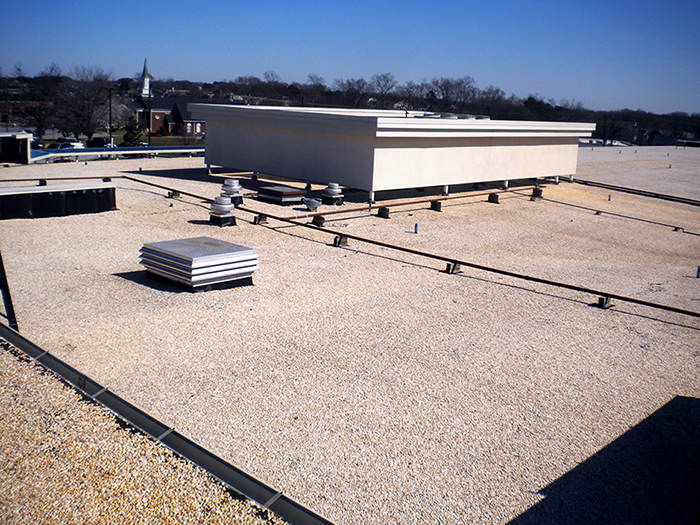 We recommended that two roof areas be replaced and that this work included an increase in the R-value of the roof insulation to meet current energy code requirements. 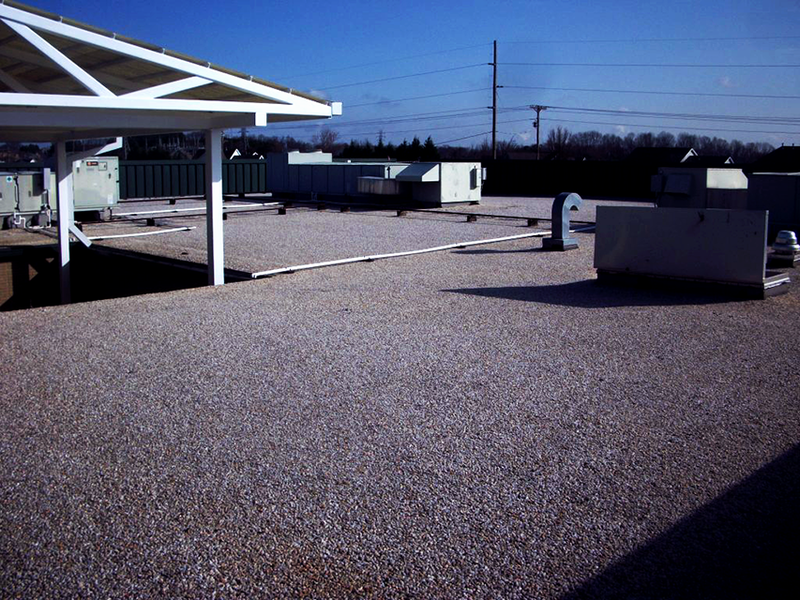 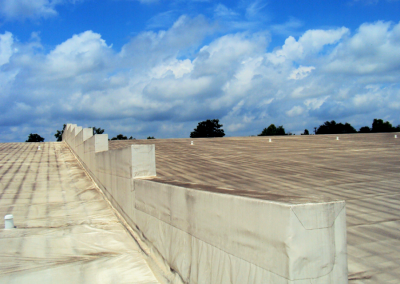 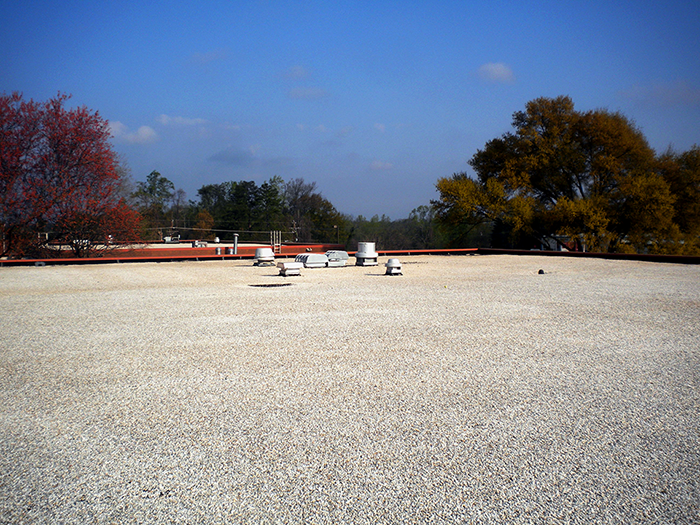 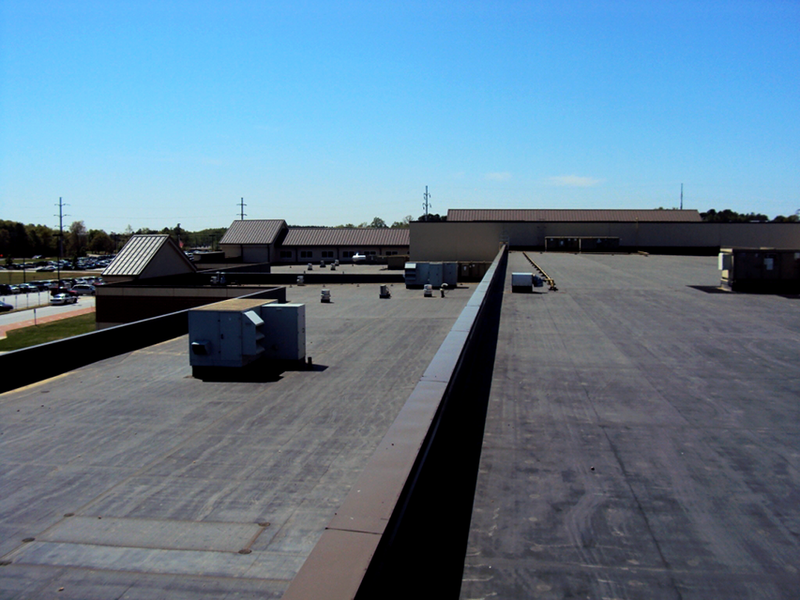 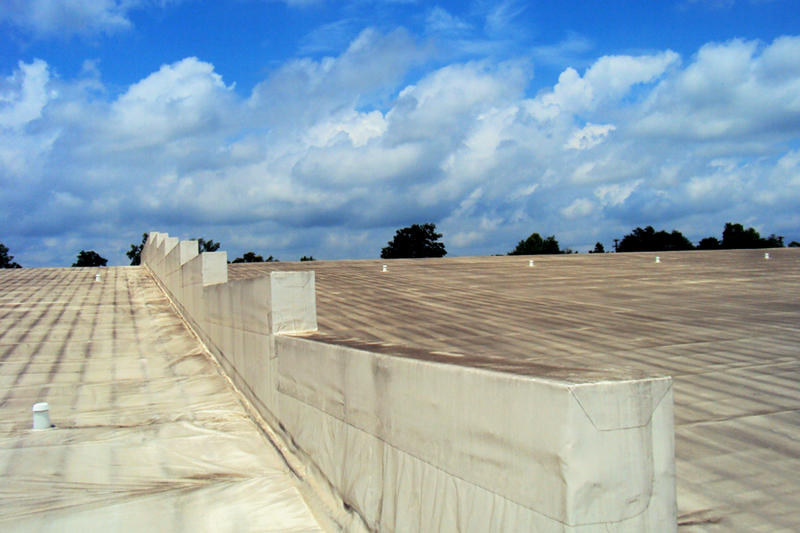 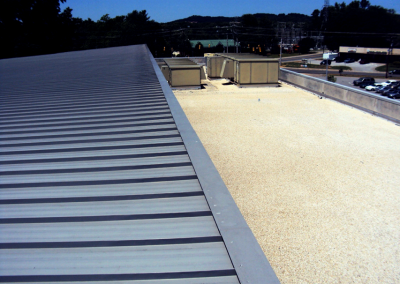 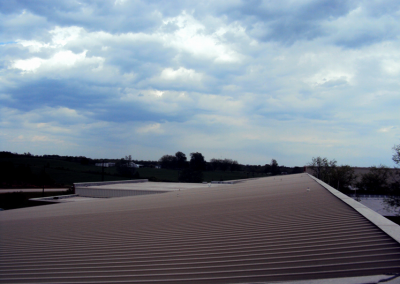 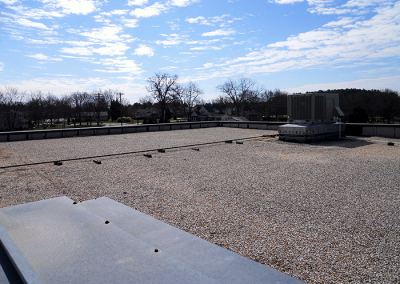 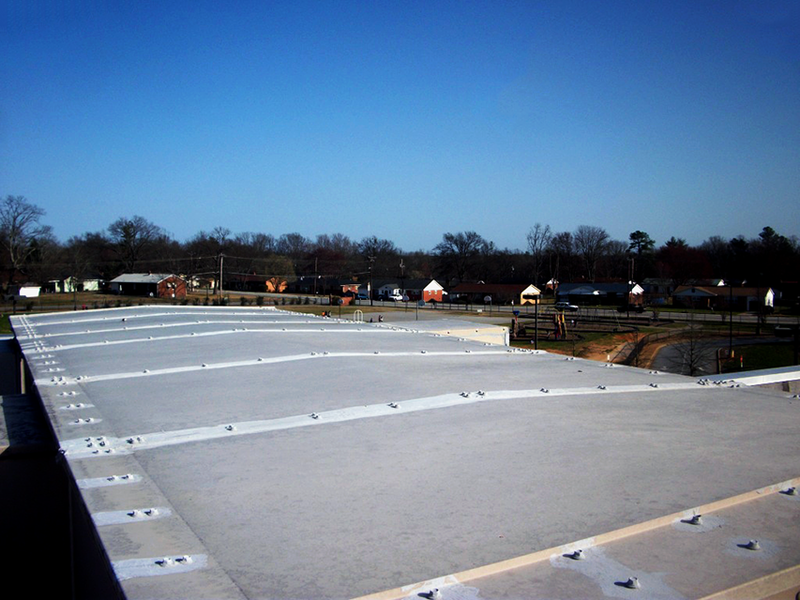 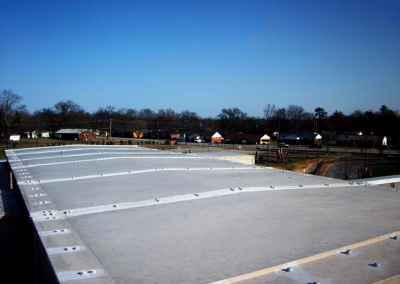 On the other two roofs, wet areas were successfully removed, reducing the cost of the project by approximately $60,000, which was the difference had a total replacement been accomplished. 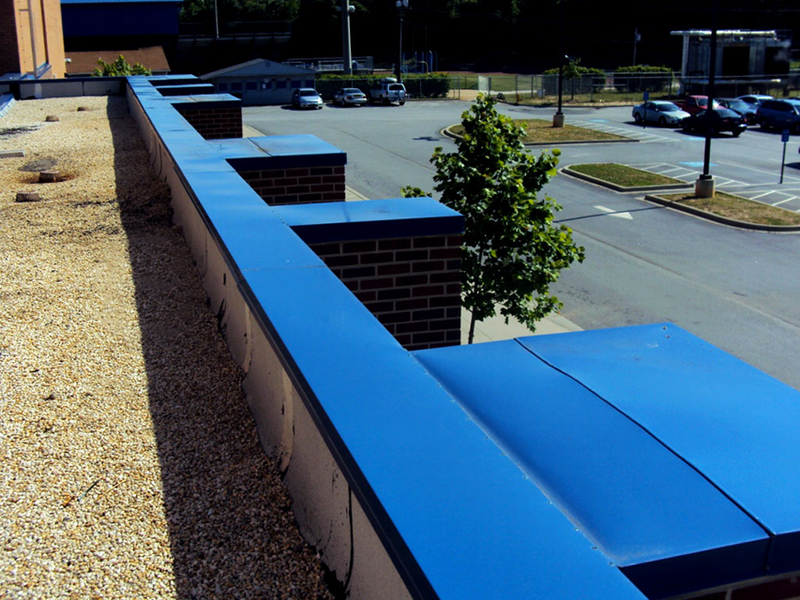 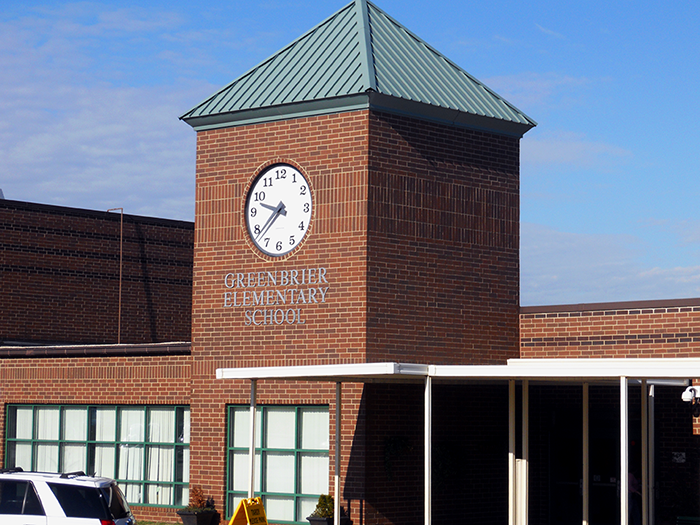 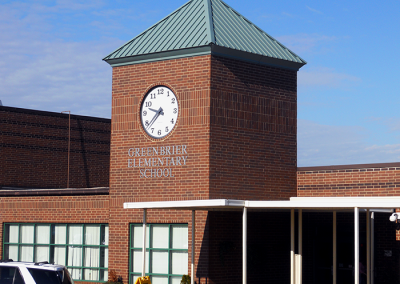 Since the installation of new through-wall flashings would have required the partial removal of the brick walls, which was ruled out because this work was being performed while school was in session. 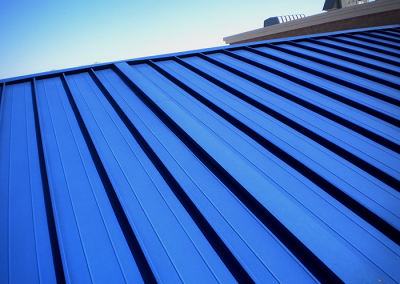 We recommended that these walls be covered with a flat metal panel wall assembly. 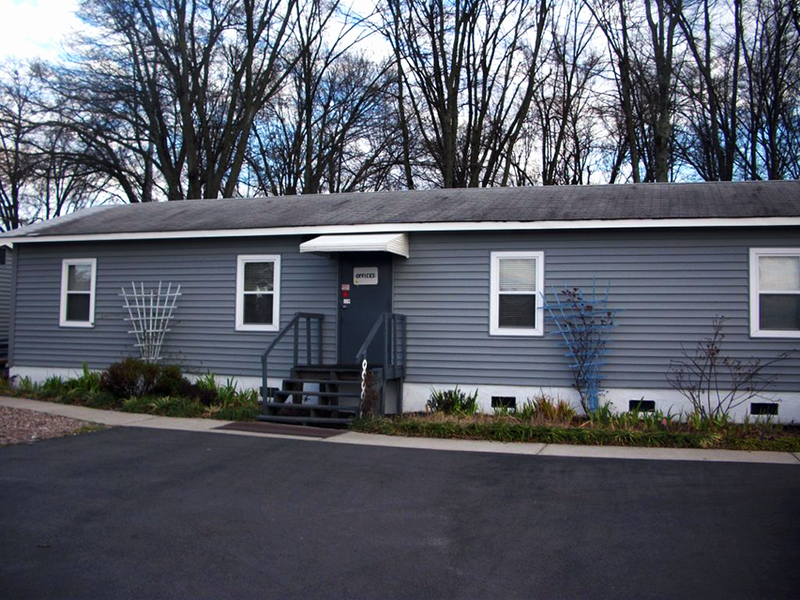 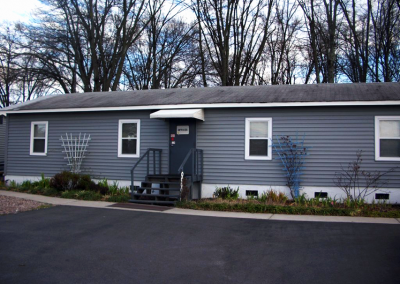 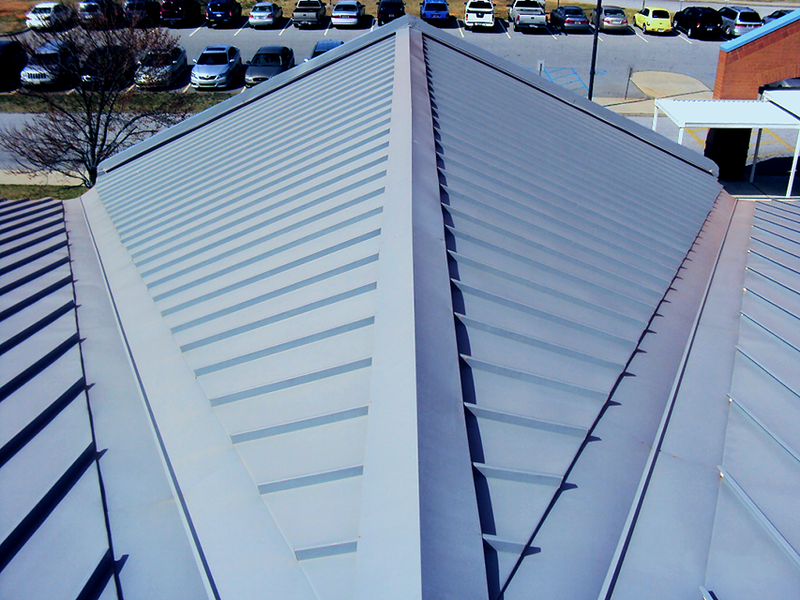 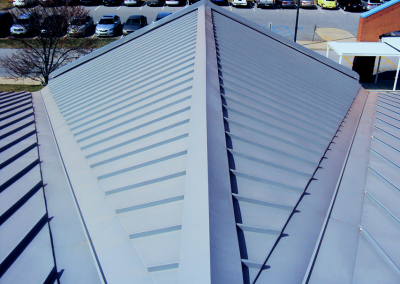 The white contrast from the metal added an enhanced aesthetic look to the building and resulted in a cost savings of approximately $35,000.